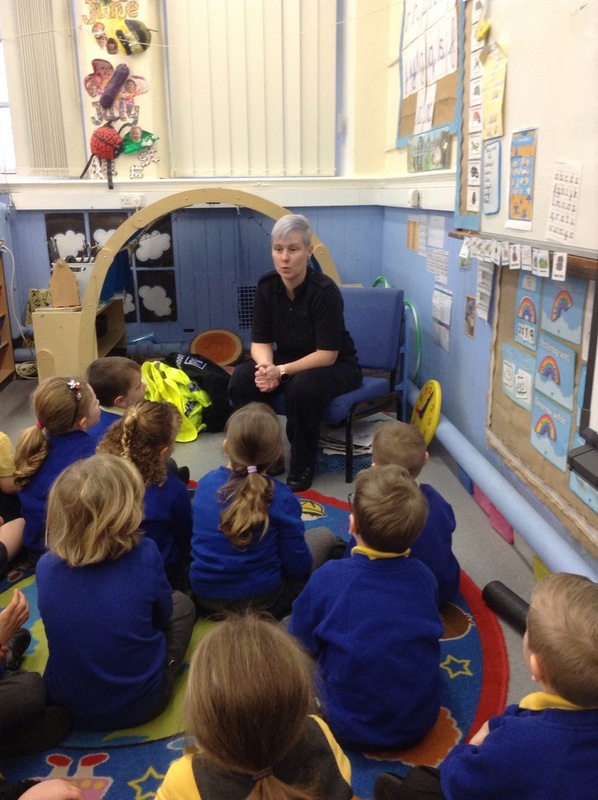 We had a visit from Ginette who is a police officer. 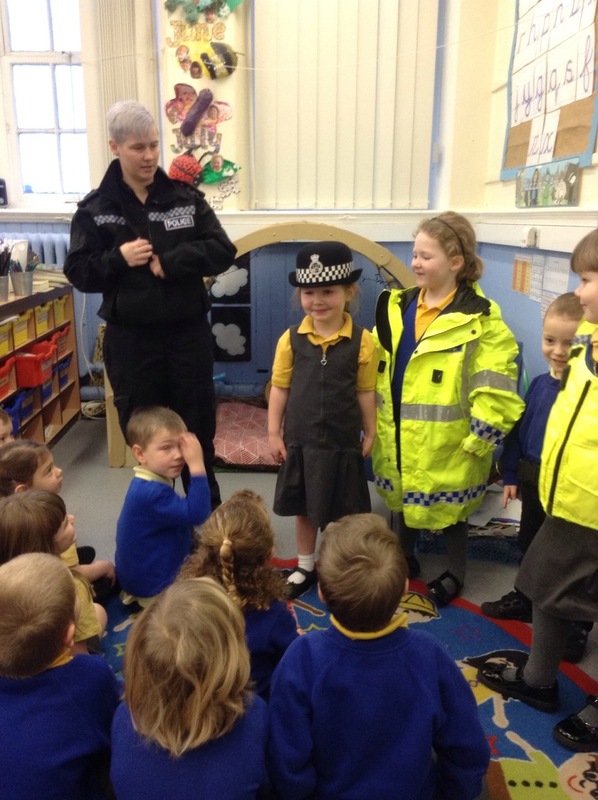 She explained to us what the police do and how they help us. She also told us what a stranger is and what to do if a stranger speaks to us. 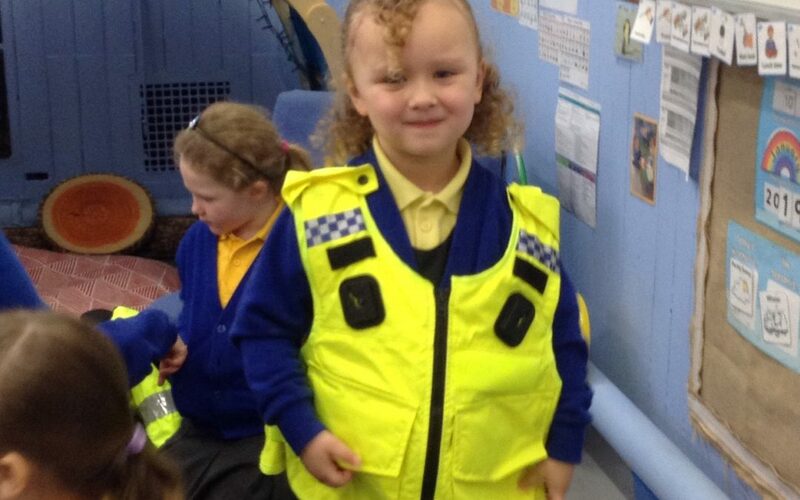 We also got to dress up in her uniform which was fun. Oh dear! 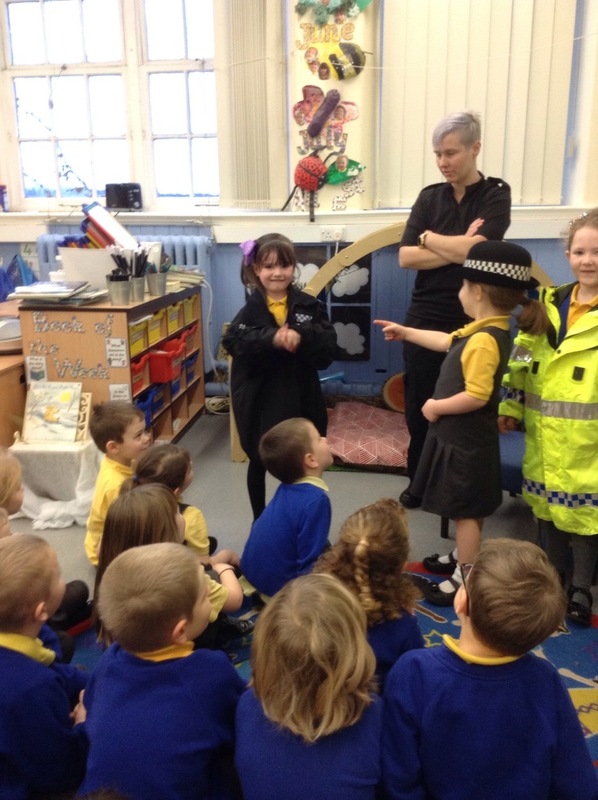 What did Mrs Batey do to get in trouble?